What an amazing journey. Great read. Perfect ending. What a beautiful story about love, loss, good, evil and above all selfless sacrifice. What one couple endured to prevail and find each other really moved me. This story will stay with me for a long time. “Ebony and Nathaneal have overcome so much to be together but their happily ever after will have to wait. The Dark Prince and ruler of Skade has taken Ebony and imprisoned her in his realm. With all entries and exits to Skade sealed for a century, it seems Ebony and Thane’s love story is at an end. Not willing to lose her after just finding her again, Thane is willing to do whatever it takes to have Ebony in his arms again. And Ebony isn’t going to be an angelic damsel in distress – she will take on the devil himself to find her way back to Thane and the home she was taken from. The Avena series by Marianne Curley has been a pleasure to read. Fearless, the third and final book in the trilogy, delivers all the drama and excitement of the previous two novels and so much more. Ebony has grown so much since we first met her in Hidden. She’s overcome learning her heavenly history as well as her long complicated and romantic history with Thane. She isn’t going to let being held captive by a dark Prince defeat her. One of the things I liked best about Ebony was her attitude. She is a fighter yet she is not infallible. The direness of her situation isn’t lost on her and despite her best efforts to stay positive, Ebony is aware of the worst case scenario. New character Mela was a great addition to the story as was her connections to the overall plot. As with the previous two books, the settings are great. Seeing Skade through Ebony’s eyes was fantastic. There’s enough detail to bring the place to life and I loved how vivid it was. Thane’s part of the story was as captivating as Ebony’s with his pain at being torn apart from her being palpable. Trying to balance his role as an Angel at the same time as planning a rescue mission weighed on him and it was nice to see his struggle and the human emotions it brought out in him. Jordan, Amber as well as a cast of angels all help bring this story to a climax. This is definitely one of those books which takes a little while to get going. The first half of this book is a little slow but the details and story is necessary for the action to really get ramped up in the second half. July 2015 – Gina, a 21 year old bibliophile from Sydney, Australia, who runs the captivating blog site Behind the Pages, recently reviewed Fearless. “I really, really enjoyed this book. It had the perfect plot line the entire time and it brought forward some underlying answers that I didn’t even know I wanted! The plot line moved quickly and provided me with everything that I wanted to know. There was no fluff in this book and it progressed quickly and eventfully. The major battle turned into something that I wasn’t expecting, and even though it did kind of feel like it was simple, it really was complex and gave us everything that we needed to feel satisfied from it. The timing was perfect and it didn’t drag out too long and it didn’t feel too short either. The writing kept me hooked into the story and combined with the plot that it had, was a winning effort. I absolutely loved Ebrielle and Nathe in this book (despite the minor grievances I had with Ebony in Hidden). They showed their love constantly throughout this book and this really is such an amazing love story. 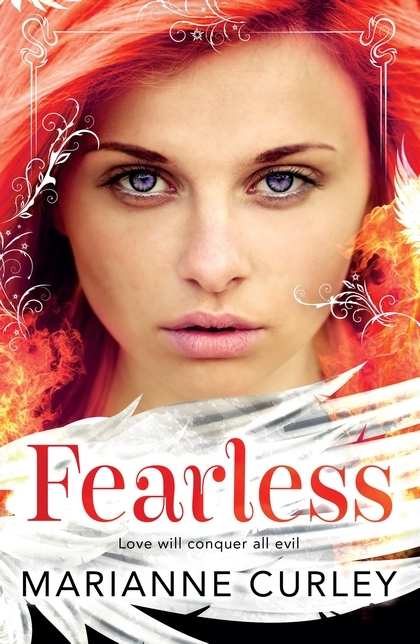 July, 2015 – Exposure Review of Fearless – A review of Fearless by a reader named Shakira Dyer. I found this review fascinating because Shakira had not read the first two books of the Avena Series (Hidden and Broken) but this did not detract from her reading experience. July 11, 2015 – Niki from Amazon UK rated Fearless 5 of 5 stars Brilliant, gripping and satisfying ending!